Perhaps unsurprisingly, the records that we hold for hospital staff are considerably less detailed than most of those that we have for patients. We can often say that someone was a nurse, doctor or a member of non-medical staff at a particular time, but can provide few other details than that. 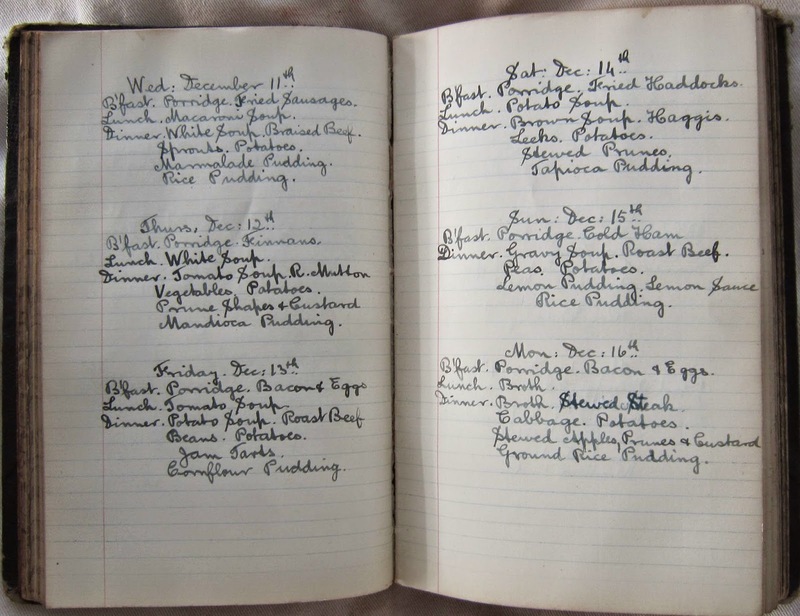 Although sometimes photographs, monographs and nurse training records can fill some gaps, it can be hard to access individual personalities behind professional roles or to reconstruct the daily lives of hospital staff from archives alone. However, for some periods and for some institutions, we have a little more to build up a picture of life off the wards. 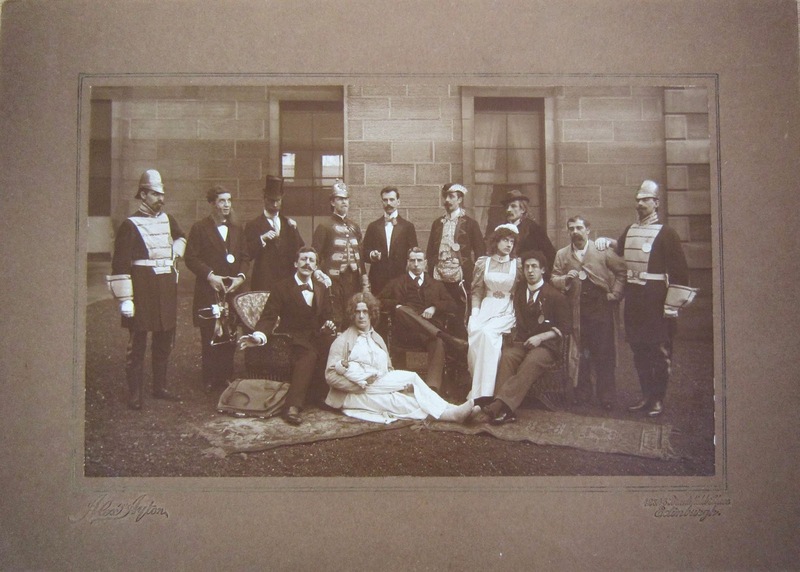 One example that I’ve become intrigued by is the section of our Royal Infirmary of Edinburgh (RIE) collection from the Residents’ Mess. 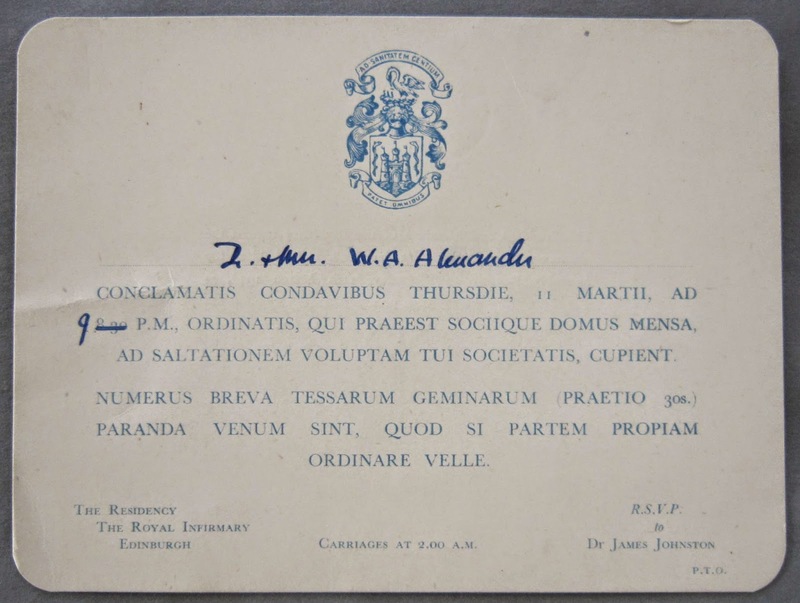 After graduating from their medical course, physicians had to complete a period of practice experience in a hospital, in whose grounds they lived as a House Officer for six months (before 1950 – although this then was amended to a full year of service). 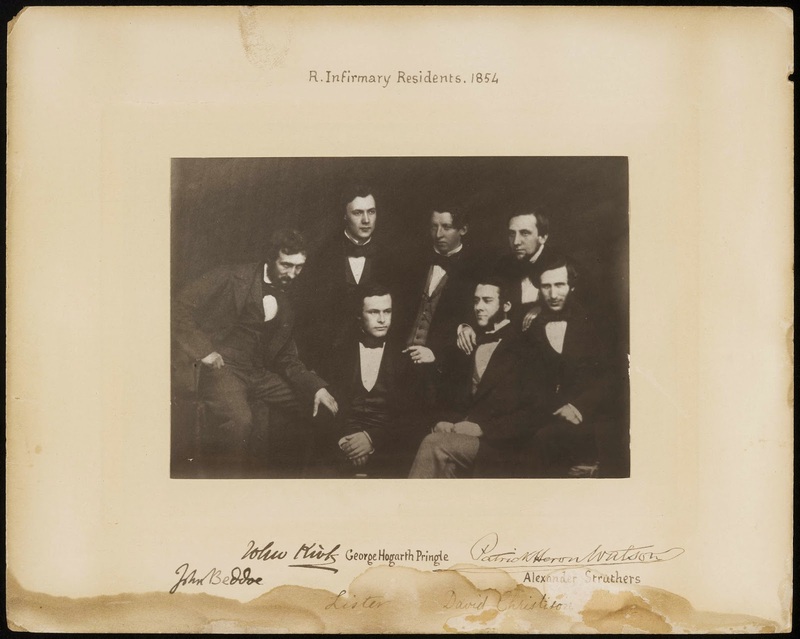 We have quite a range of records from those serving this medical apprenticeship, from the photographs of residents that appear fairly often on our website and social media, including our earliest featuring Joseph Lister…..
… to lists of residents (charting the early careers of clinicians who would go on to change the course of Scottish medical history), rules, correspondence, financial records and ephemera. 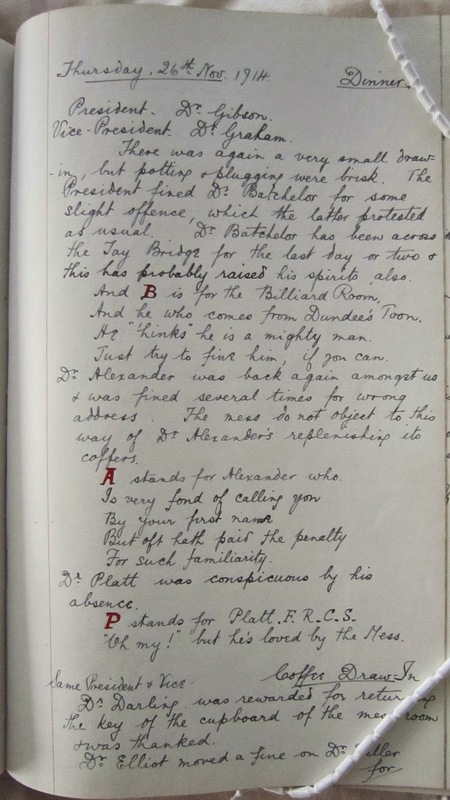 The Mess Log from 1914 has more detail about the parade, which took place every Christmas Eve at 11pm from the Surgical Outpatients’ Department (SOPD), and lists in delightful detail the individual outfits of each member taking part, including the prize-winner, Dr W A Alexander, who cut a dash as a ‘ballet girl’. Dr Alexander was far from alone, since ‘there was a strong majority of ladies of all ages, nationalities and description from Little Red Riding Hood up to the fully developed butterflys [sic.]’. 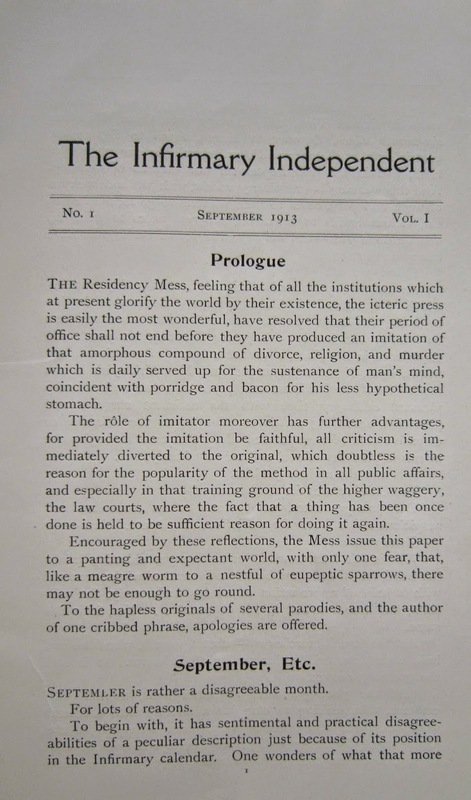 The residents also produced a light-hearted magazine, the Infirmary Independent, of which we have the first (and perhaps only!) 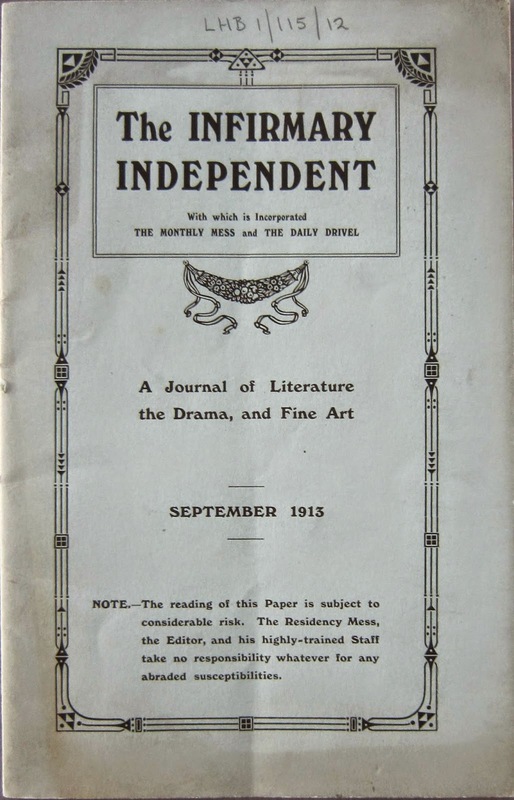 edition from 1913. It serialised stories, published satirical poems, and included outlines of out-of-work activities, including theatre and sports. What we have left from the residents' off-duty life is at times funny, sometimes (to our twenty-first century ears) bordering on the (or actually) offensive, but reveals a world lost in time. This world was undoubtedly a privileged one, since residents had the advantage of an elite education and received no salaries from the RIE before the NHS, but would come to rely for their income on private practice. Although this world of Latin invitations and medical graduates dressing as ballet girls may justifiably invoke ire at the social inequalities of the early twentieth century, it must be read in the context of its time - perhaps as an outlet for people at the start of their careers with heavy expectations on their shoulders. Similarly, we can see these items with some relief that we have moved towards an era in which there is a narrower social gap between doctors and many of their patients. Last week I went to a Scottish Council on Archives (SCA) event in which they introduced their brand new Scottish Charitable Incorporated Organisation status (SCIO). SCA provides leadership for the archives and records management sector in Scotland in a number of important ways (more information here) and we’ve worked closely with SCA for a few years now. We’ve certainly taken advantage of all the fabulous advocacy work SCA does for our sector - our most notable success was submitting a recipe for invalid fruit tart to their awareness raising campaign, ‘Edible Archive’, which made its way onto the 2012 Great British Bake Off! More recently we were awarded Accredited Archive Status, a process which was supported by SCA, and we’ve been pumping their Education Development Officer for information to help with our new Wellcome Trust-funded public engagement project where we’ll be producing online resources for teachers. We’re also looking forward to Paul, Edinburgh University’s Skills for the Future Trainee, spending some time with us over the summer. He’s been based in the Centre for Research Collections since October last year as part of a Heritage Lottery Fund grant managed by SCA that aims to offer experience in the archive sector to six people each year for three years. But what does SCA’s new SCIO status mean for us? Well, we’ll be hoping to carry on working with a great organisation, but now it will be as a member of it! Becoming a member is free, and if you’d like to join us in joining them, more information is available here: http://www.scottisharchives.org.uk/membership. When he started out in the 1920s there were no dedicated facilities for surgical neurology patients and Dott worked in private practice, treating patients in rooms in a private nursing home and moving his surgical equipment across Edinburgh in a taxi. 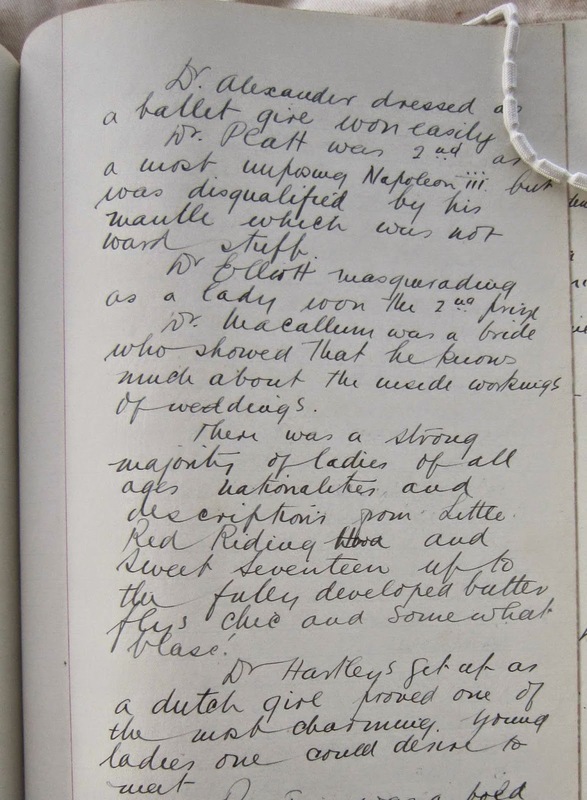 In 1931, Dott was appointed Associate Neurological Surgeon at the Royal Infirmary of Edinburgh (RIE) and was and given access to four post-operative beds for his patients in Wards 13 and 14 and use of the operating theatre. 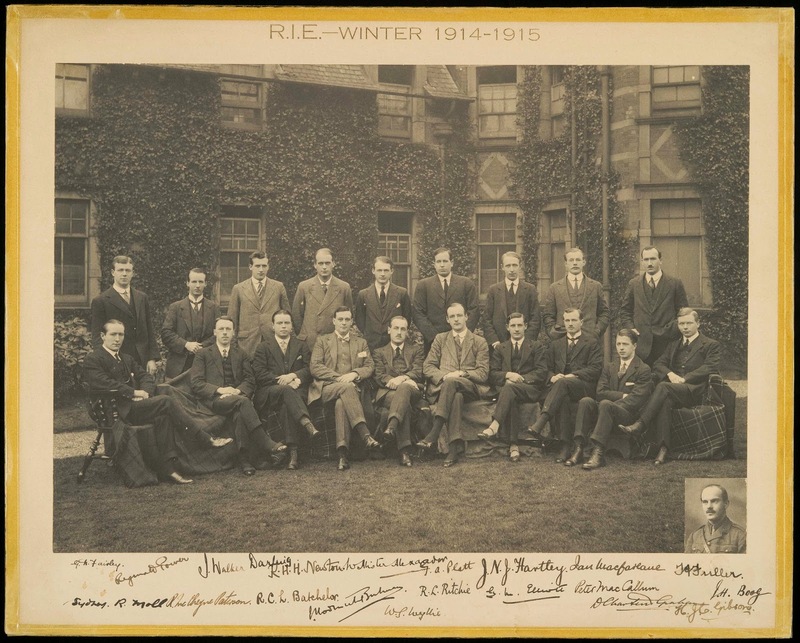 This was the beginning of the Department of Surgical Neurology at RIE, which was the first of its kind in Scotland. 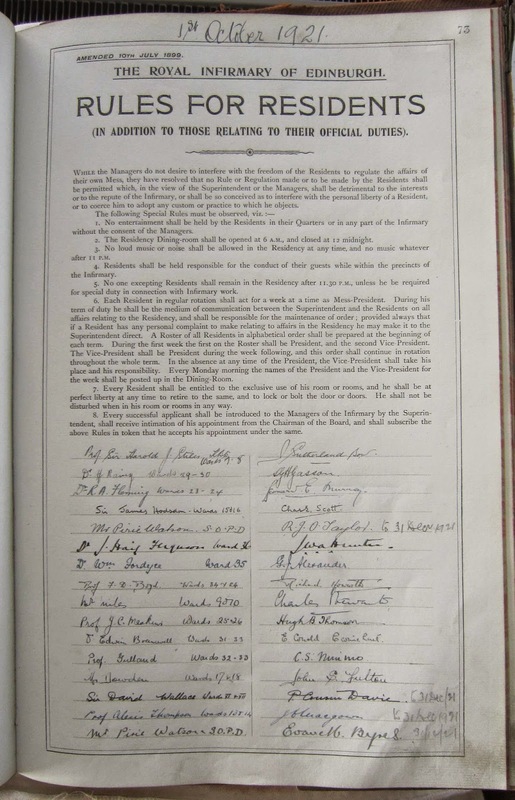 This move was followed in 1936 with the allocation of Ward 20, which was located in the clock tower at RIE, to Dott to set up his own department. However it wasn’t until 1938 that the new department received its first patients, as the Ward had to be extended and made fit for purpose, this included adding an operating theatre (with a special steel elliptical lighting dome imported from Paris and a sound-proof viewing room which featured one-way glass for students to view operations), twenty beds, an ophthalmic room, staff-room and out-patient facilities. Further accommodation was made available to Dott and his team in 1939 at Bangour General Emergency Service Hospital at Broxburn in West Lothian, where he established the Brain Injuries Unit providing treatment to military and civilian cases. The Department of Surgical Neurology, now firmly established as a specialist unit, operated over two sites providing different services at each location throughout the 1940s and 1950s. Although the department was extended in the 1950s, the growing number of patients (in 1959/1960 Ward 20 dealt with 1,100 patients, performed 900 operations and saw 6,000 out-patients – still with only twenty beds) and the demands on the expertise of Dott and his team meant that more space was needed. A major contributing factor to the growth in patient numbers was the increase in head injuries sustained in road accidents due to the rise in car use. So, to the Western General were a six- storey block was built, at a cost of £500,000, to accommodate the expanded Department of Surgical Neurology. The new building housed twin operating theatres; sixty beds; physiotherapy, hydrotherapy and occupational therapy rooms; and staff accommodation. 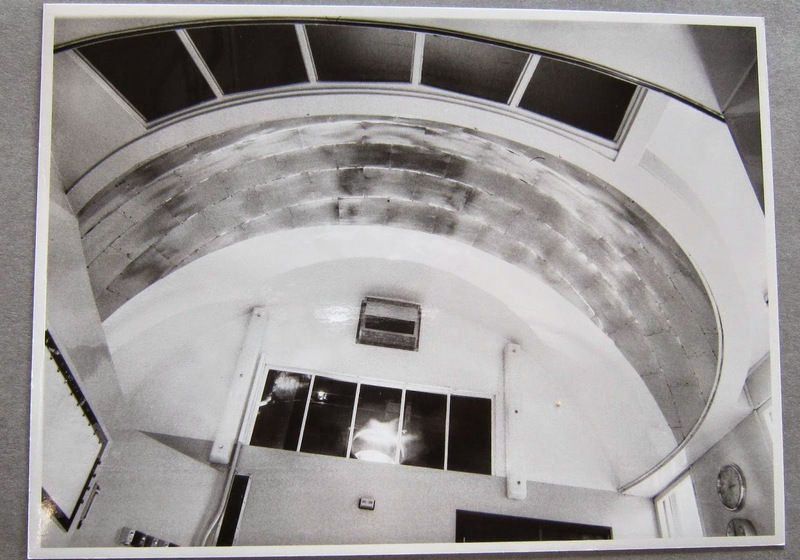 The theatres, which were specially designed by Norman Dott and described by fellow surgeons as ‘Utopian’, were an ovid shape designed to limit infection and had domed roofs which featured shadowless lamps. Ward 20 at RIE became a specialist unit for head and spinal injuries and for out-patient services, while the new department at WGH was mainly for elective surgery, with patients transferring between the two sites. The sites were even more equipped to work together when, in 1962 a television link was set up. Norman Dott retired in 1963, but the department that he established continued to grow and lead the way in research and treatment, finally merging in 1986 with the Department of Medical Neurology to form the Department of Clinical Neurosciences. After I had such a fantastic time as Archive Intern with LHSA towards the end of last year, I was delighted to make a return this time as Project Cataloguing Archivist, working to finish cataloguing the HIV/AIDS collection. From my time as an intern and reading Emily and Karyn’s blog posts about the project I had a fair idea about this great opportunity to work with such a modern collection. To recap, the HIV/AIDS collections at LHSA were inscribed to the UNESCO UK Memory of the World Register in 2011 because of their importance in the context, of the study of the history of medicine. The collections are rich in their documentation of a significant period for Edinburgh and Lothian, 1983 -2010, in the fight against HIV/AIDS. This was one of the most serious threats to public health towards the end of the twentieth century, not only in Scotland but throughout the UK. · Completing cataloguing of GD25: Papers of Helen Zealley, Director of Public Health/Chief Administrative Medical Officer (CAMO). · Completing cataloguing of GD22: “Take Care” Campaign. 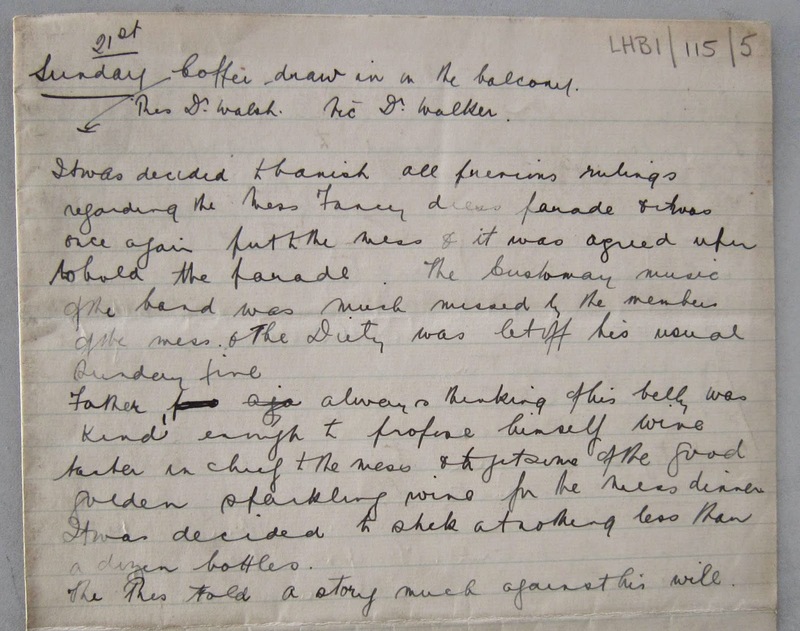 · Cross-referencing photographs and objects from LHB45: Lothian Health Board AIDS Papers, into the photograph and objects database. Since then however, I have been cataloguing the Papers of Dr. Helen Zealley, Director of Public Health for NHS Lothian (previously Lothian Health Board(LHB)). The papers mainly consist of business/administrative papers including, reports/official documentation, correspondence, meeting minutes, and promotional material, relating to the running of LHB spanning an extensive period of time, c1975 – c2000. It has been really interesting to gain some perspective into the running of a major organisation from top level management. Taking responsibility for health services at this level is clearly going to be a challenging task. It is extraordinary to see how day-to-day issues, longer-term strategic planning, and also unforeseen threats to public health, are dealt with simultaneously. One of the issues I have personally been tackling, in dealing with such a modern collection, is ensuring that appropriate Data Protection is placed on sensitive or confidential records. Opening up access to public records must be balanced by a legal requirement to protect sensitive, personal and confidential information under the Data Protection Act. Although this means that some of the records will be closed to public access, once all cataloguing and conservation work is complete there will still be an abundance of papers ready for further research and posterity. As well as a unique insight into the way in which LHB developed strategy and campaigns to tackle the spread of HIV/AIDS in Lothian, the papers of Helen Zealley will expand exploration into other areas of public health that LHB was responsible for. This includes papers relating to the developments of health promotion in education and medical specialisms, such as sexual health, non-smoking policy and environmental health. The collection also provides us with an overview of strategic planning and policy making at LHB, particularly at a time of financial crisis in the early 1990s and the implementation of cost-cutting measures. I look forward to completing cataloguing GD25 and keeping you up-to-date with the rest of the project!